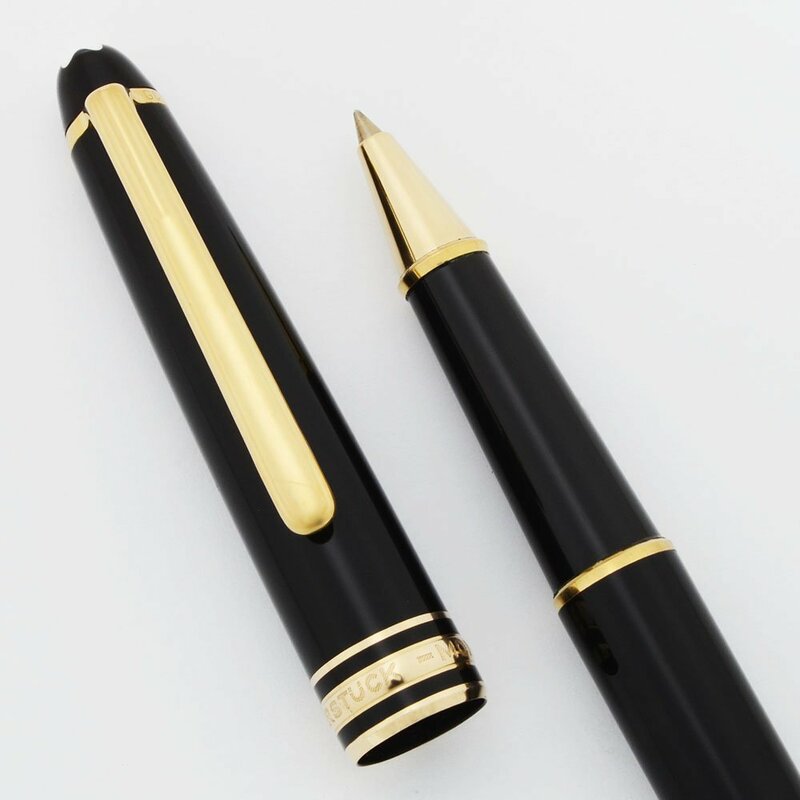 Classic slim Montblanc 144 Meisterstuck black with gold trim rollerball pen. Takes threaded international rollerball refills. A working black refill is installed. In excellent condition, in box, with all paperwork and packing material for the pen. . 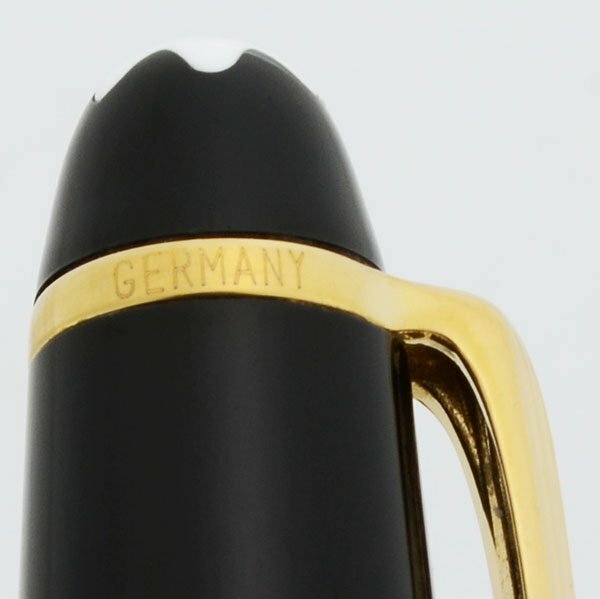 Manufacturer and Year Montblanc, Germany. 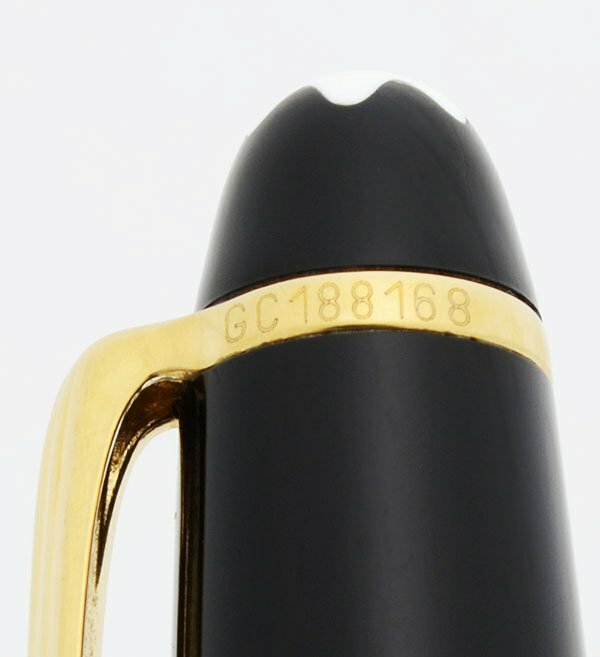 The clip has a serial number, "GC188168" 1980s packaging. 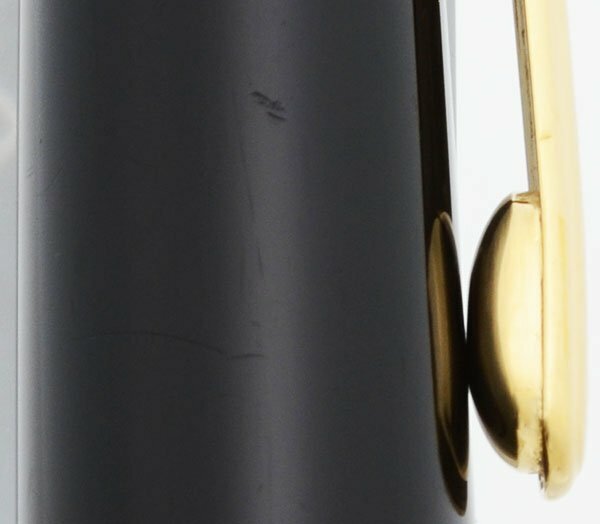 Filling System Takes Montblanc or threaded international rollerball refills. They are just like standard international rollerball refills but have threads near the tipping to hold the pen in place. A working black Monteverde refill is installed. Color Black with gold plated trim. 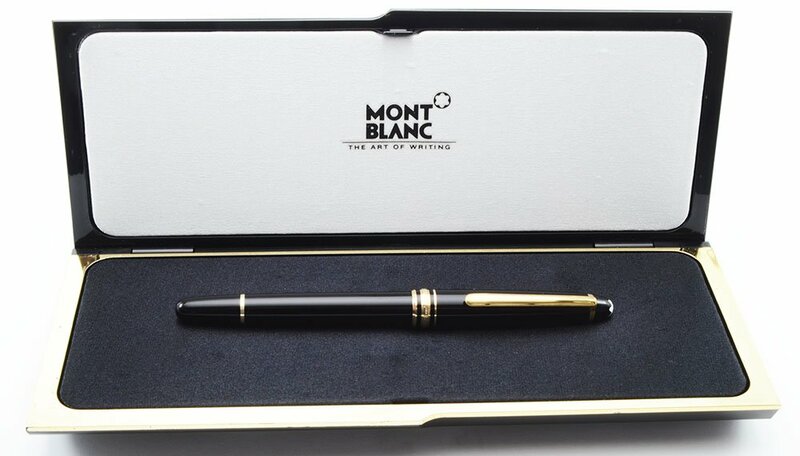 The Montblanc emblem is on the top of the cap. 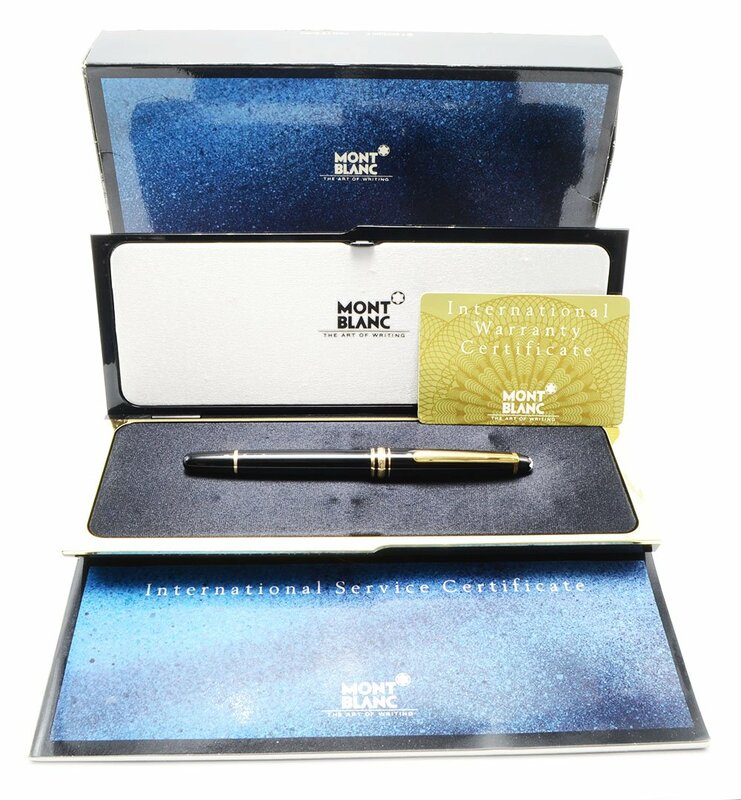 Condition Excellent condition for this shiny, elegant roller ball pen that comes in its original Montblanc box with all paperwork and packaging. The cap and barrel have light to moderate scratching. The section looks great. The cap also has some long thin lines of scratching and a few areas of cross hatch scratching (see cap photo). The clip has light scratching; the clip ring has two deep, short scratch marks. There are no cracks. The imprints are clear. .